In part one of this series, we addressed the importance of having a certified Assistive Technology Professional who has special experience and knowledge in the area of DME and complex rehabilitation. We touched upon some of the unnecessary costs that are often seen by carriers, excess carriers and TPA’s when DME is chosen by a provider lacking this knowledge and expertise. In this section, we will provide more detail regarding the additional cost factors that can been experienced by carriers/clients when they are not provided with several options by category of equipment and/or work with a provider that is not completely transparent in their pricing and billing practices. In some circumstances, there may be a valid reason to spend the extra money if there are subtle differences in operation features of a piece of equipment that would mean greater functional independence, safety or adaptability for the individual being assessed. A reputable provider, however, should always offer you the options and be able to back up their choice(s) or recommendations based on functional and medical facts that are specific to each individual situation and injured worker. The identification and justification of medical necessity are paramount. In the rehabilitation environment, it is not uncommon to see requests being made for the highest end, latest and greatest pieces of equipment, particularly when Workers’ Compensation is the payor source. The ability to identify and justify the choices and provide alternatives in collaboration with the rehab team is critical. 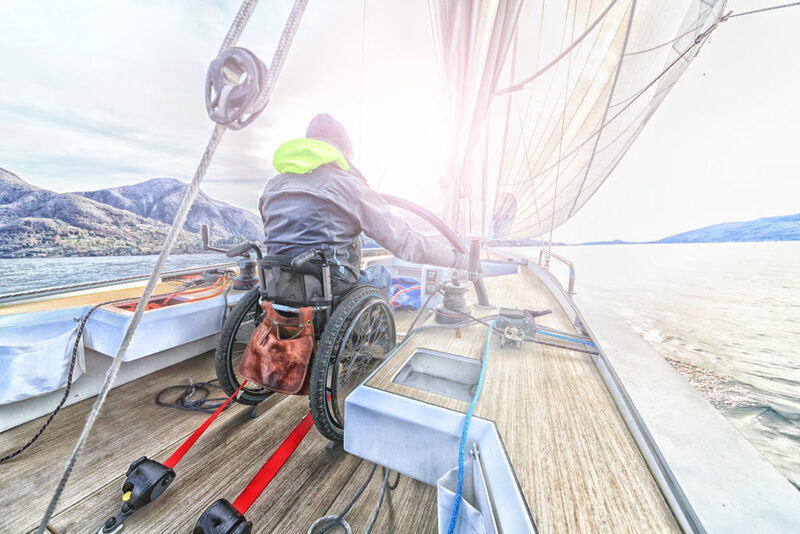 Critical not only to a successful outcome for the claimant, but also to make sure the team approach to equipment is upheld, while containing cost. Additionally, many carriers, excess carriers and TPA’s are dealing with distributors who add their own profit margin to the price of the equipment. If you deal with a Network Service Provider, it is not uncommon for them to add additional, significant mark ups to the original cost which has already been buried one to four levels deep depending on how many layers of substitution there have been. In fact, in many cases, these markups from Network Service Providers can reach the realm of as much as 30-100% above the actual equipment cost with each layer pass through adding to the end price. Your DME Provider should be no different than any other strategic partnership you develop with other companies providing professional, medical services related to Workers’ Compensation claims. It is your right to expect complete transparency in billing when doing business with your DME and other providers. If the costs are truly fair, reasonable and honest, there is no need to hide where the price came from in the first place. You have a right to know exactly what you paying for, item by item. The next time you are considering purchasing a piece of Durable Medical Equipment, ask if your DME provider if you can black out all the charges and patient information from one quote, and request a “blind bid” to see the true cost comparison. If your provider is completely honest and transparent, they won’t hesitate to do this. Finally, as in many other areas of Workers’ Compensation claims, there are hidden costs that can result from a provider who lacks the knowledge and expertise to effectively plan out the equipment needs for an injured worker for a lifetime, the thorough history of the product they are recommending, the precise functional and medical needs of each individual injured worker, and the true cost to own the equipment from purchase to maintenance and beyond. It is not uncommon for carriers to request a recommendation on Durable Medical Equipment that not only addresses the present functional and medical needs of the injured worker being assessed, but also the anticipated needs in these areas based on a medical prognosis. Without proper medical training and a thorough understanding of physical and functional factors that need to be addressed with a given diagnosis and likely prognosis, carriers stand the chance of spending enormous amounts of money on equipment that will not be appropriate nor usable in the future when the injured worker’s condition further deteriorates. As well, within a given category of DME, there may be manufacturers and/or products that have not held up well in terms of their durability, quality of product, and/or reputation for service should the equipment need maintenance or replacement. A DME provider with the right expertise should be able to provide you not only with the functional and medical basis for their equipment choice(s), but also a clear history or background on the type and manufacturer of equipment they would recommend and not. With regard to the true cost of Durable Medical Equipment, it is important to note that expenses are not limited to the actual purchase price. Depending on your DME provider there may be mark ups that are hidden in what is estimated to you, delivery charges, maintenance requirements and ancillary items such as software that are required in order for the equipment to remain useable. In the end, a qualified DME provider will have no problem addressing nor providing concrete answers and solutions for each of these concerns. Make sure you are getting the best information, the appropriate choice and Dare to Compare your DME options.